At the laser eye care center of William S. Goldstein M.D., we have been helping patients achieve visual independence through LASIK surgery since 1996. Over the course of the past two decades, the technology used to perform LASIK surgery has advanced considerably, and Dr. Goldstein has been integrating the latest and most effective of these technologies into his practice to ensure that his patients are able to achieve the best possible results. One of the most important technologies to affect LASIK since its inception is wavefront mapping technology. The advent of wavefront mapping allows Dr. Goldstein to correct both higher and lower aberrations when he performs LASIK, resulting in a truly customized laser eye surgery procedure. Prior to performing LASIK, he discusses higher vs. lower order aberrations during consultations at his Shelby Township, MI eye care center so that patients can understand exactly why wavefront mapping is essential to achieving the best results possible. What are higher and lower aberrations exactly, and how does wavefront mapping technology help to create a truly customized LASIK procedure? We invite you to read the following blog post to learn the answer to these questions and then contact our practice to find out how you could benefit from custom wavefront LASIK. LASIK has always been one of the safest and, in terms of its patient satisfaction rate, most successful surgeries in medicine. However, when LASIK first became commercially available in the United States, it was capable of correcting precisely the same errors as traditional eyeglasses and contact lenses, namely myopia (nearsightedness) and hyperopia (farsightedness), with or without astigmatism. These universal refractive errors, known as lower order aberrations are caused by imperfections in the shape of the cornea, which would ideally be perfectly smooth and curved. Lower order aberrations can easily be measured using optometric tools that have been at the disposal of eye care professionals for many decades. While conventional LASIK was widely touted for its potential to produce “better than 20/20 vision,” this did not necessarily mean that LASIK would produce perfect vision. This is because LASIK, like traditional glasses and contact lenses, could still not correct higher order aberrations. What Are Higher Order Aberrations, and How Can Wavefront Technology Help to Correct Them? Unlike lower order aberrations, higher order aberrations are not universal. Rather, they are tiny imperfections in the shape of the cornea that are unique to each individual eye. They are so small, in fact, that prior to the advent of wavefront mapping technology, they couldn’t be measured, let alone corrected. Now, however, it is not only possible to create a detailed map of these higher order aberrations, but to use this map to guide the excimer laser used during LASIK surgery to make extraordinarily precise alterations in corneal tissue, resulting in truly personalized vision correction. In this sense, wavefront mapping has revolutionized LASIK surgery. 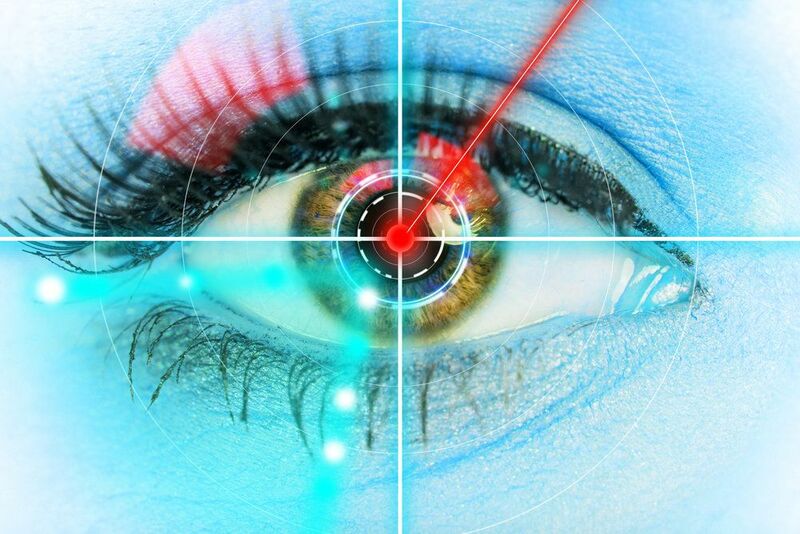 If you would like to learn more about higher and lower order aberrations and how wavefront mapping technology can help you to correct both, please contact the laser eye care center of Dr. William S. Goldstein today.